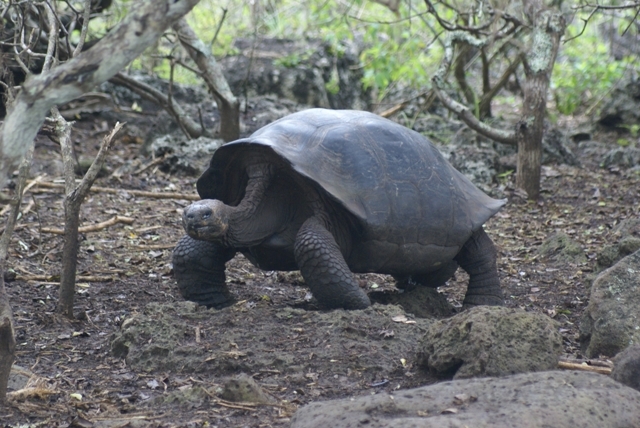 What the Galapagos are famous for - the giant tortoise! 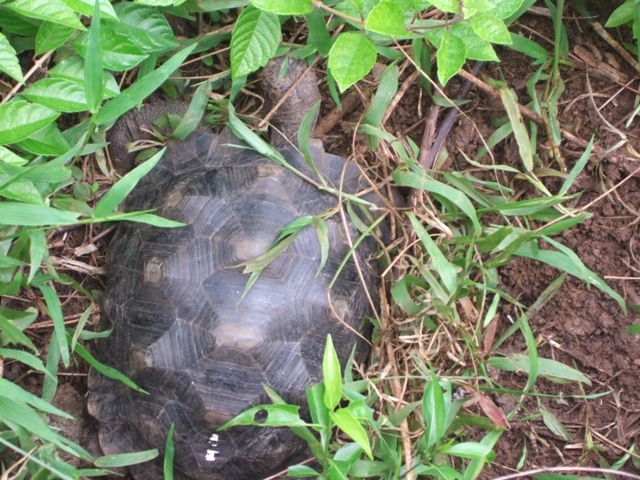 There are 11 subspecies of tortoise on the islands. Some islands have several different subspecies - each of the volcanoes on the island of Isabela has a different subspecies. They don't mix as they can't climb over the solid lava ridges. ........ a poison apple in this case. 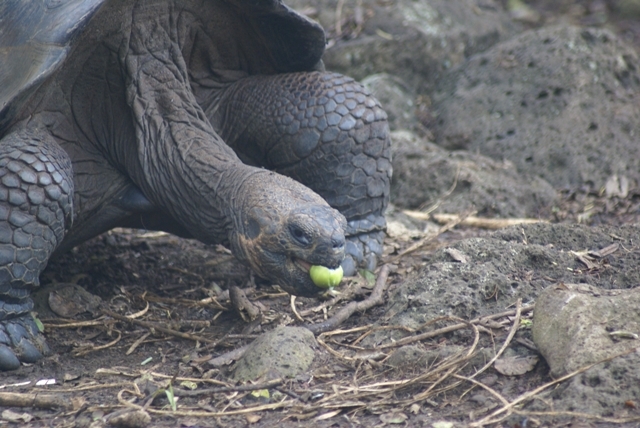 The apples from the manchineel tree are poisonous to us, but not to the tortoises. 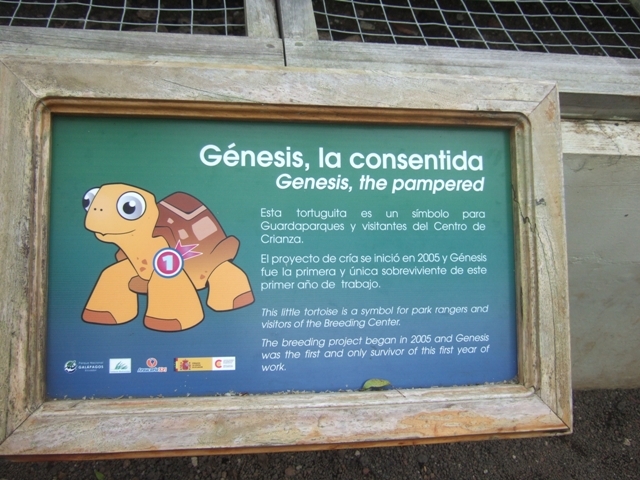 tortoise born, and the only one still surviving from that year, is called Genesis. Genesis - with a no. 1 on its shell. 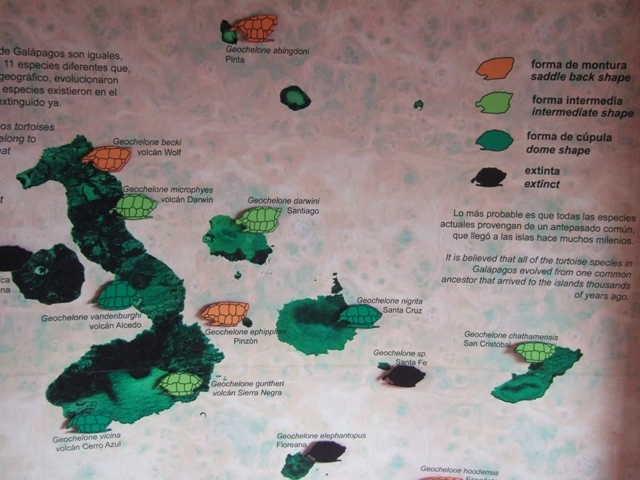 A map showing the distribution of tortoises across the islands. 3 subspecies are extinct. The pirates and whalers that sailed these waters used to take the tortoises for their meat. A live tortoise can live for a year without food or water, so they were a good source of fresh meat. 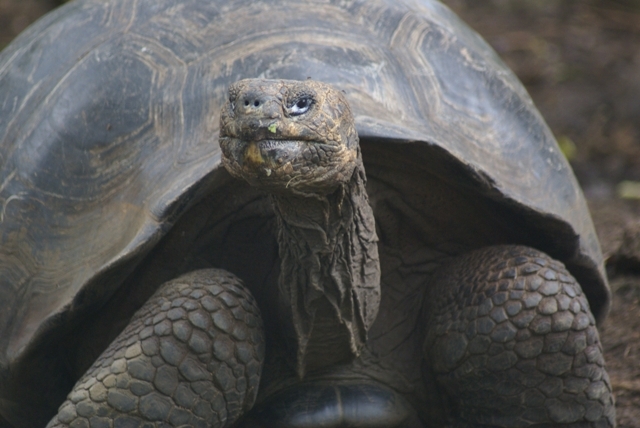 Sadly, while there were once thousands of tortoises, there was not an unlimited supply, and the numbers were drastically reduced, causing the extinction of some subspecies.